As we commit ourselves to continuous improvement, we might recall that it was on this date in 1878 that C.A. 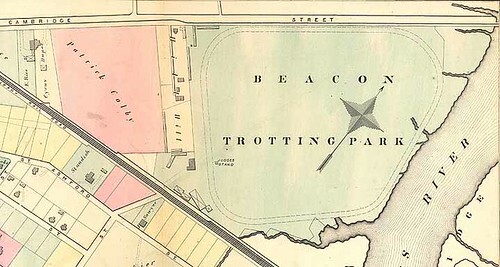 Parker (Harvard, Class of 1880) won the first American bicycle race, run at Beacon Trotting Park in Allston (Massachusetts), a half-mile course designed for sulky racing. A Doubletree Hotel currently stands on the spot.